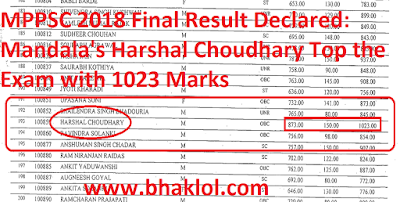 NEET PG 2019 Result has been declared now. Examination was conducted on 6th January 2019. No login required to check your result status. You need to find your roll number in the result pdf. Exam Date of BPSC Assistant Prelims 2019 Examination has been released now. BPSC Assistant Prelims 2019 is scheduled to be conducted on 17th March 2019. 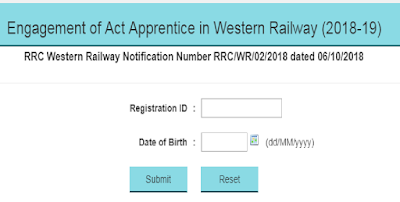 RRC WR Apprentice Admit Card 2019 has been released now. 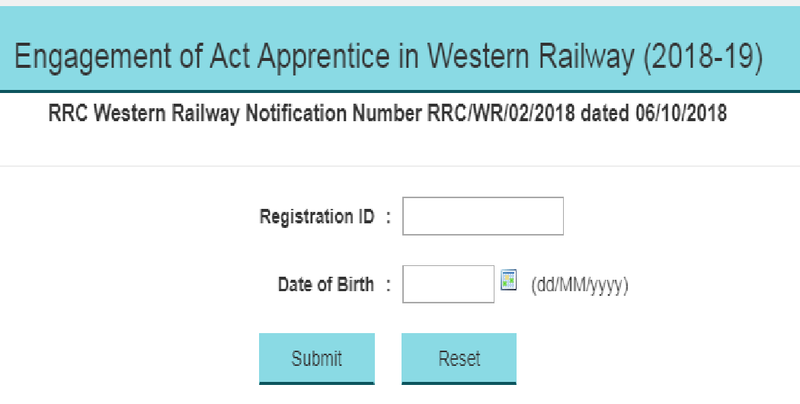 Registration Id and Date of Birth are required to download RRC WR Apprentice Admit Card 2019. Official Answer Key of ESIC JE(Junior Engineer) 2019 Examination which was conducted on 24th January 2019 has been released now. 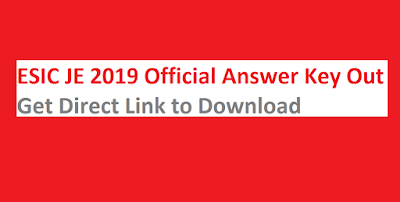 User Id and Password are required to download ESIC JE 2019 Answer Key. 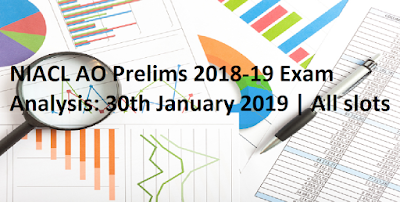 Dear Students, NIACL AO Prelims 2018-19 Online Examination is held today on 30th January 2019. First slot is completed which was scheduled from 10am to 11am. 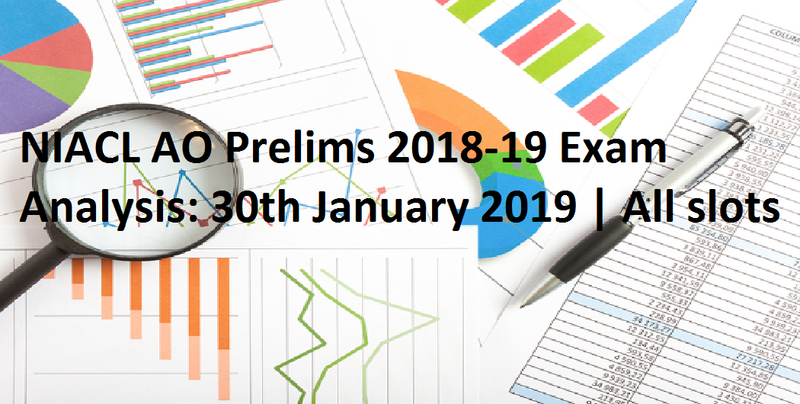 We are sharing NIACL AO Prelims 2018-19 Exam Analysis. Admit Card of SSC Stenographer Grade C and D 2018 Recruitment exam has been released of many regions. SSC Stenographer Grade C and D 2018-2019 examination is scheduled to be conducted on January 5 and 6, 2019. 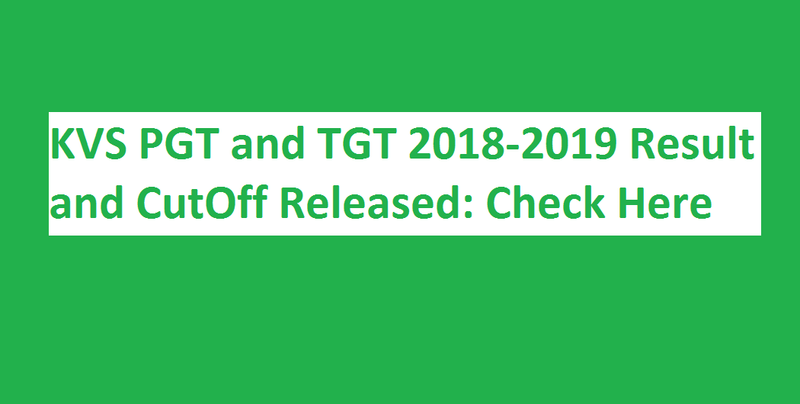 Registration Number / Roll Number and Date of Birth are required to download SSC Stenographer Grade C and D 2018-19 Admit Card. 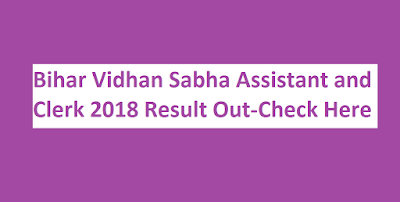 Dear Students, Final Result of MPPSC 2018 has been released now. Total 298 candidates have been selected in this civil service examination. 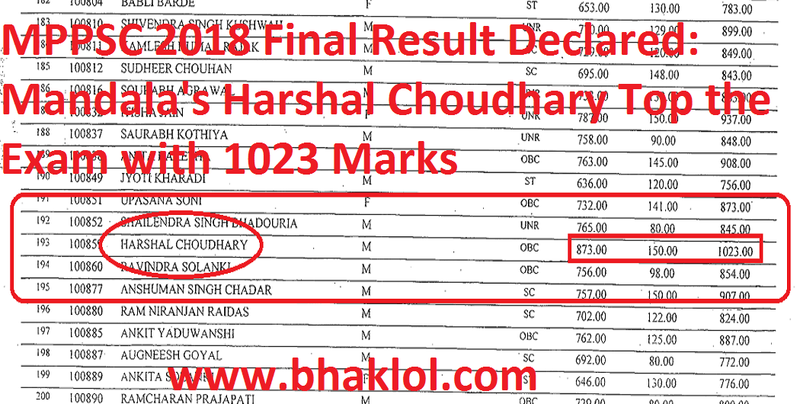 Mandala's Harshal Choudhary Top the Exam with 1023 Marks out of 1575. WBPSC has released admit card of Food Sub-Inspector 2019 written test which is scheduled to be conducted on 27th January 2019. Enrollment Number or First Name and Date of Birth are required to download WBPSC Food Sub-Inspector Admit Card 2019. Canara Bank PO PGDBF 2018-19 Call Letter for Group Discussion and Interview released now. Registration No / Roll No and Password / DOB(DD-MM-YY) are required to download Canara Bank PO 2018-19 Interview Call Letter. NICL Accounts Apprentices Interview Call Letter has been released. Registration No / Roll No and Password / DOB(DD-MM-YY) are required to download NICL Accounts Apprentices 2018-2019 Interview Admit Card. 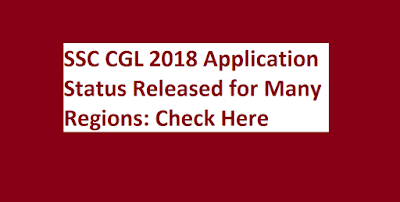 Staff Selection Commission(SSC) has released CGL 2018 Application Status for many regions. 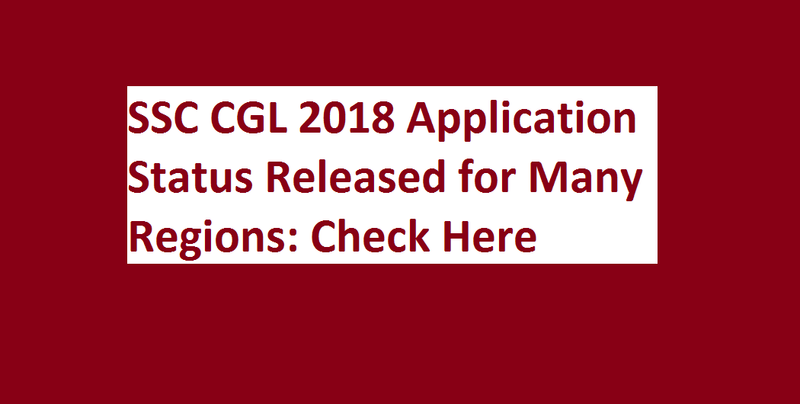 Candidats name or Registration Id and Date of Birth are required to check SSC CGL 2018 Application Status. KVS has released PGT and TGT 2018-2019 Result. KVS has released list of shortlisted candidates for interview which will be taken at various place across India. Official Answer Key of UPPSC Prelims 2018-2019 examination has been released. 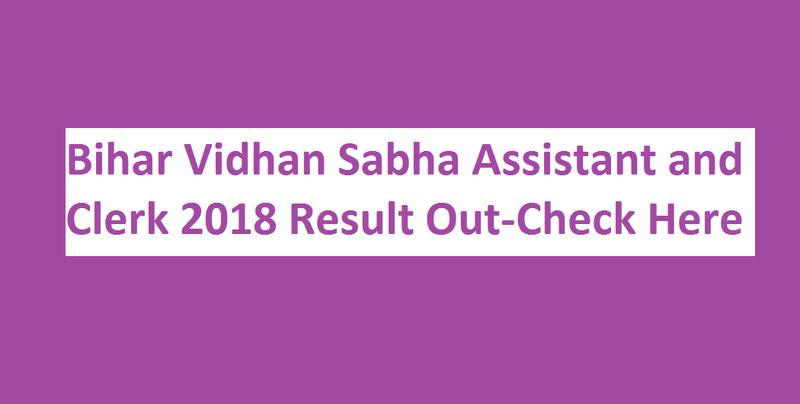 UPPSC Prelims 2018 was conducted on 28th October 2018. 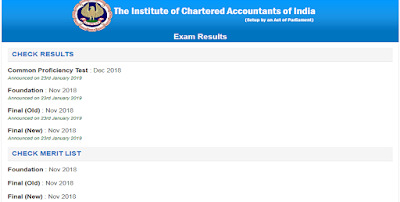 Result of CA(Chartered Acoountant) Final and CA Foundation November 2018 released now. Results are avaialable at icai.org, icaiexam.icai.org & caresults.icai.org. 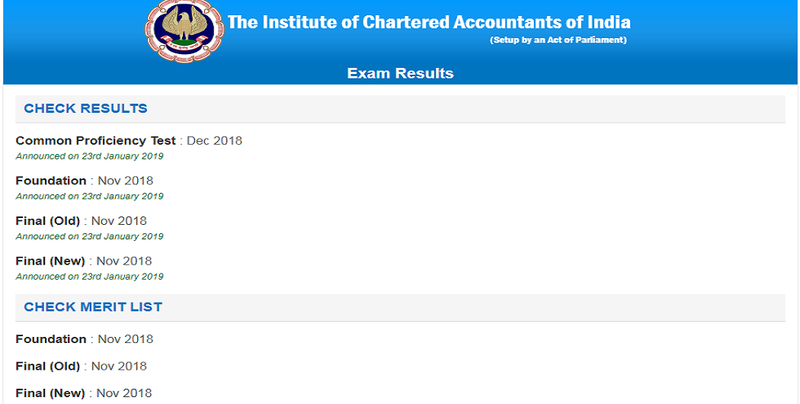 Roll Number / Registration Number and Pin are required to download CA Final and CA Foundation Nov 2018. Dear Students, second stage computer based test of RRB ALP and Technicians 2018-2019 is scheduled today on 23 Jan 2019. 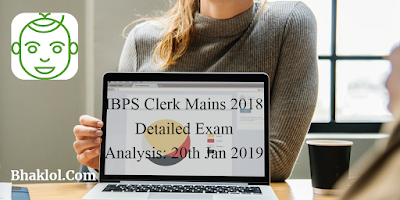 We are sharing Exam Analysis and Asked Questions in today's(23.01.2019) RRB ALP and Technicians Examination. 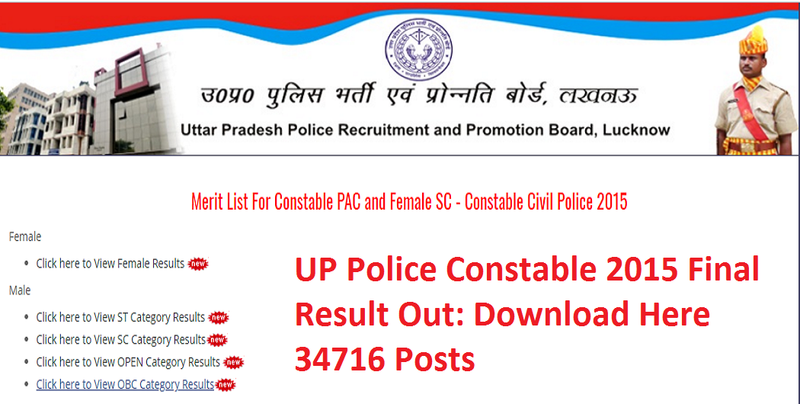 Dear Students, UP Police Constable Admit Card 2019 has been released now. UP Police Constable Phase II 2018-2019 exam is scheduled to be conducted on 27 and 28 January 2019. 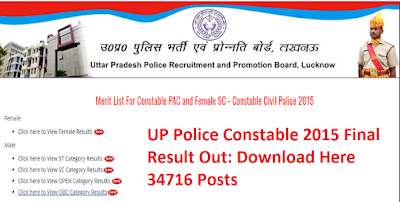 User Id and Password are required to download UP Police Constable Admit Card 2019. Bihar State Power (Holding) Company Ltd., Patna has released final result of 2050 Assistant Operator, Switch Board Operator-II ,Junior Line Man, Technician GR-IV posts recruitment 2018-2019. Examination was conducted on 3rd and 4th November 2018. Dear Students, Stage 2 of RRB ALP and Technicians 2018-2019 Online Examination conducted today on 21st January 2019. We are sharing detailed exam analysis of Part-A and Part-B of RRB ALP and Technicians 2018 Stage 2. ALP Stage 2 Overall Review: In Part-A, Basic Science and Engineering section was of easy to moderate level and rest of the sections in part-A were of easy level. Questions of Part-B of all trades asked from Basics. 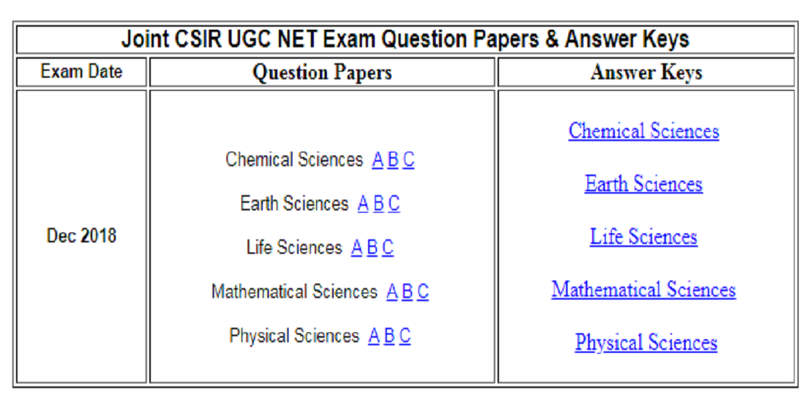 Answer Key of CSIR NET December 2018 Examination has been released. Exam was conducted on 16th December 2018. 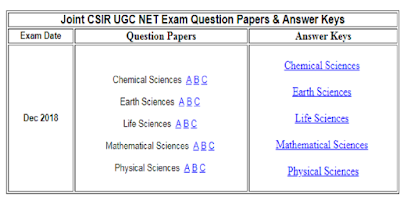 We are sharing direct link to download Question Paper and Answer Key of CSIR NET December 2018 Exam. Application Status of SSC Stenographer Grade C and D 2018 Recruitment exam has been released of many regions. SSC Stenographer Grade C and D 2018-2019 examination is scheduled to be conducted on January 5 and 6, 2019. Registration Number / Roll Number and Date of Birth are required to check your Application Status. 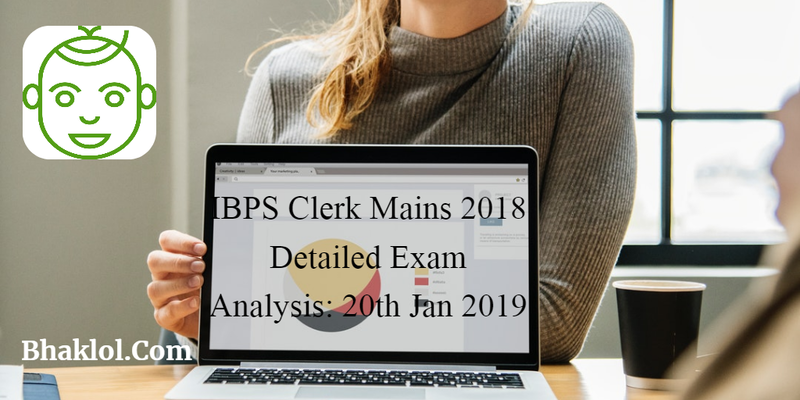 Dear Students, Today IBPS Clerk Mains 2018-2019 Online Examination conducted from 10am to 1PM. Exam is completed, now we are sharing some memory based GA-General Awareness Questions Asked in IBPS Clerk Mains 2018(20th Jan 2019). Dear Students, Allahabad Group C & D 2018-2019 Examination is schedule today on 20th January 2019, Sunday. Once the exam gets over those who appear in this recruitment examination, please share exam review and the analysis about the exam. Dear Students, HSSC has released Final Result for the post of GROUP-D of Various Departments / Corporations / Boards etc. , Against Advt. No. 4/2018, Cat No. 01. HSSC Group D 2018-2019 examination was conducted on 10, 11 and 17 November 2018.